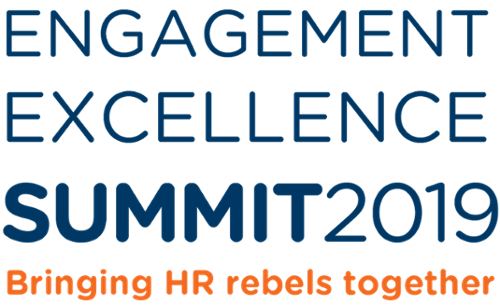 This month, we're excited to welcome more than 350 HR rebels and leaders to our inaugural Engagement Excellence Summit. We'll take over the Brewery with 30+ amazing speakers to educate attendees on building a great reputation as an employer, championing colleague engagement through technology and creating an amazing wellbeing strategy (among other topics). Even though it's sold out (I'm sorry! ), you can still join the waitlist for your chance at a spot. The good news is that we'll release some of the featured content around the breakout sessions here on Reward Gateway after the event in mid-February. What decades of research shows about how to best motivate and engage employees. How good leaders can change how we feel about work. The impact an engaged workforce can have on your organisation. How to be an engagement "rebel," challenging the status quo and standing out as a great employer and successful business. Check out Debra's keynote session about Building a foundation for rebellious & impactful employee engagement as well as a debate, titled "This House believes that praise pays." And Alexandra's two sessions include: CRAVE: Enhance employee motivation in 10 Minutes by Friday™ and a workshop called, "Recognition to Drive Results (For Optimists and Skeptics)." 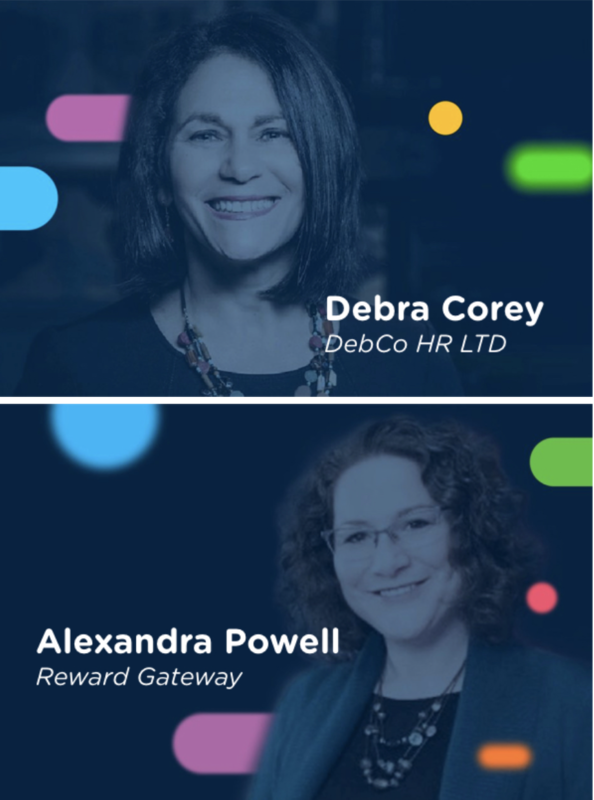 In this week's double feature, we're chatting with Alexandra Powell, the Director of Client Services at Reward Gateway, and Debra Corey, co-author of Build it: The Rebel Playbook for Employee Engagement and Chief 'Pay it Forward' Officer at DebCo HR LTD. Learn how these two women (who are both core fixtures on our RG blog as part of the family!) are helping to make the world a better place to work one step at a time. Alexandra: Coming from Rochester, NY, I will pick Susan B. Anthony as a hometown hero. She was known to be both compassionate and aggressive in pursuit of her goals. While Susan died before women were afforded the right to vote in the U.S., people in Rochester often visit her grave on voting days and leave their "I Voted" stickers in tribute. Debra: It has to be my co-author, Glenn Elliott (the Founder of Reward Gateway), because he's truly inspired me to find my inner rebel, and because I can always count on him to challenge me on my traditional ways of thinking and acting. I always picture Glenn on my shoulder whispering in my ear, "why can't you do things differently?" Alexandra: A great moment in my journey was seeing a former member of my team become a manager herself. It was lovely to see the same traits that made her successful in her role translate into her becoming a great manager – and also to see how leading others caused her to push herself to develop new strengths. Debra: I have two. The first has got to be when we published our book as I knew it was going to be able to help others on their own engagement journey. From a personal HR perspective, it was when I stood on stage at RG to announce our new rewards strategy and benefit programmes. I was so proud of how strategically aligned it was and what a great job we did of creating truly rebellious and engaging benefits, communicating them in a rebellious open and honest way. Alexandra: My victory song – the song that would push me to make those final steps – would be Stevie Wonder's Signed, Sealed, Delivered I'm Yours. The beat of that song makes it impossible not to move and would ensure I got to the top with more spring in my step. Debra: Well, I was born in Philadelphia, so it would have to be the Rocky's theme song, which is called 'Gonna Fly Now,' as it was filmed on the steps of Philadelphia's Art Museum. It's also a great song about being brave and achieving your goals. Debra: Motivation and encouragement, I am always the person encouraging others to keep going, telling silly stories and jokes along the way. Never a dull (or quiet) moment with me along!